At the 8th annual Catalyst Awards Gala, the McGill Office of Sustainability awarded students, staff, and faculty who have made meaningful and enduring contributions to the sustainability movement at McGill. 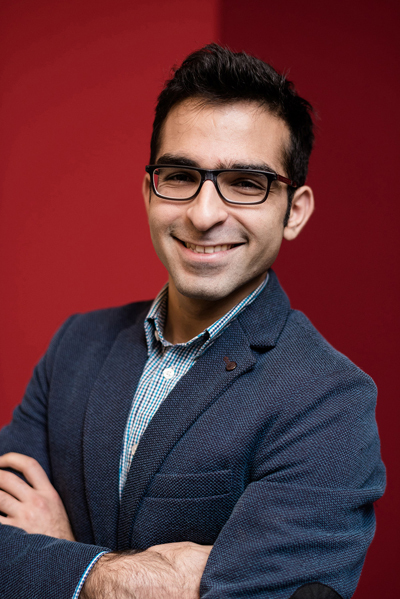 The Emerald Key Award for student contributions to sustainability went to Amir Nosrat, a PhD student in the Desautels Faculty of Management, who is researching the impact of climate risks on business practices and businesses’ ability to access finance. With attendance of over 100 people, the gala successfully celebrated groups and individuals for their dedicated efforts to this cause.